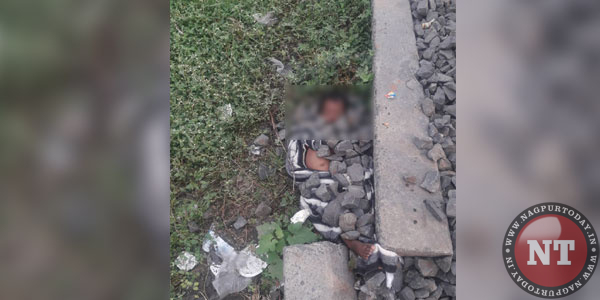 Nagpur: Sensation prevailed in Goa Colony in gaddigodam premises on Tuesday when a dead body of 6-year-old boy was found lying close to the railway tracks near the slum area. It is suspected that the child might have been sacrificed on the day of Pitra Moksha Amavasya, believed as a ritual by few superstitious people. Sadar police are baffled over the incidence and trying to connect the threads to catch the culprits. The body was covered with boulders along the tracks. Preliminary investigation showed that the body had no injury marks anywhere however his nose was found to be bleeding. Cops are trying to dig into the sacrifice angle which many in the area are suspecting of. Sources informed that the boy might have died 24 hours back, however, no report of kidnapping or missing kid has come to the fore in any of the police stations. Police have sent the body to Mayo hospital for postmortem. Sadar police has sped up the probe to unveil the truth. Further details are awaited.